Colostrum is the perfect all-round powerful, natural immunity booster for you and your children. The sole reason for breastfeeding your new-born baby, statistics have shown that breastfeeding initiatives have reduced the mortality rate of Malaysian children by 85 percent because of colostrum! Gut problems such as chronic diarrhea, gastric and inflammation is a thing of the past! Colostrum promotes and repairs gut flora and permeability. 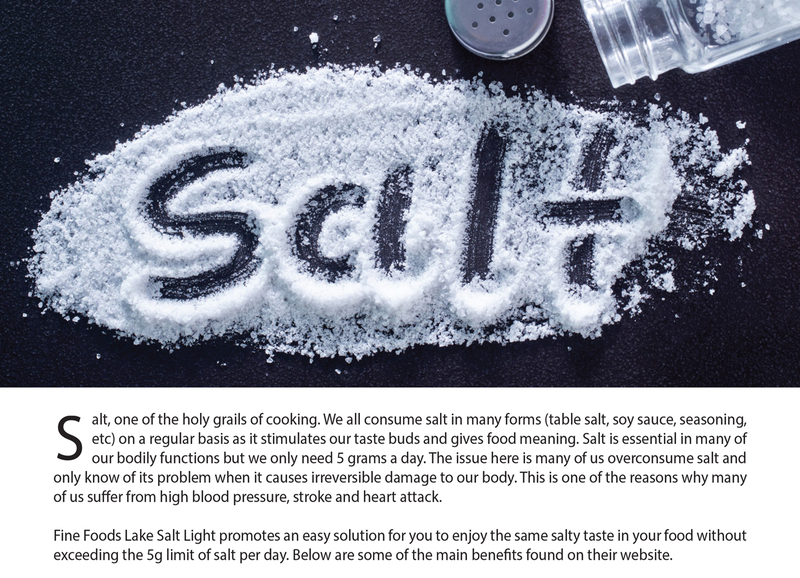 It is the ONLY natural replacement for antibiotics where usage has been continually abused. 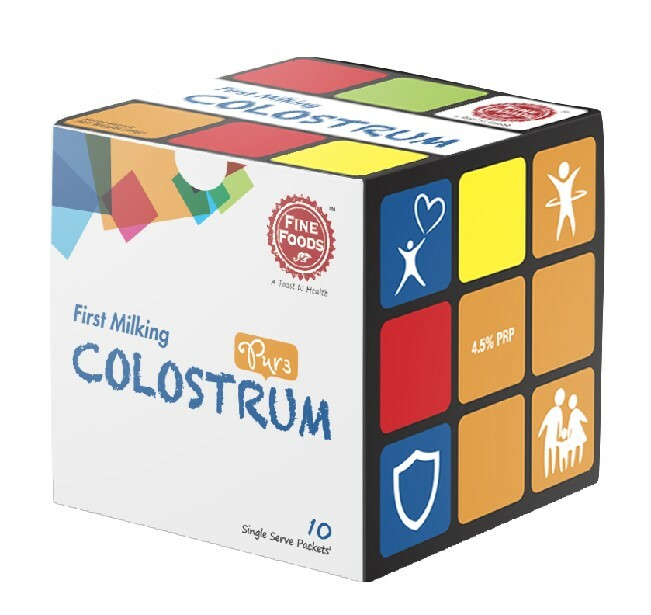 Contrary to popular belief, the benefits of colostrum are not limited to babies alone but to everyone; children, teens, adults and senior citizens alike can all now enjoy the amazing benefits of this gift from nature. 4.5% Proline-rich Polypeptides (PRP) – An efficient protein responsible for modulating the immune system, boosting and lowering it down when needed. 20% IgG – A common antibody found in our bodies responsible to control and remove foreign substances (bacteria, toxins, foreign blood cells, etc) in the body. Lactoferrin – An anti-bacterial, antiviral, and anti-inflammatory, iron-binding protein which prevents the growth of bacteria. Oligosaccharides – Attracts and binds to pathogens, preventing them from entering the gut membranes. Accelerates an athlete’s recovery (muscle and tissue repair) and promotes lean body mass. Improve a child’s growth and build strong bones and teeth. 1. What is Fine Foods™ Colostrum? Fine Foods™ Colostrum is the first milk produced by a cow in the first 4 days after giving birth. The first food tasted by all mammals in this life, it is a special substance loaded with immune factors, growth factors, protective proteins and nutrients essential for life. 2. What are the benefits of taking Fine Foods™ Colostrum? a)	Stay strong and healthy by boosting and maintaining your immune system. d)	Accelerates recovery of muscle tears and sores post workout. f)	Burns fat instead of muscle for energy thereby promoting lean body mass. i)	Build strong bones and teeth. 3. 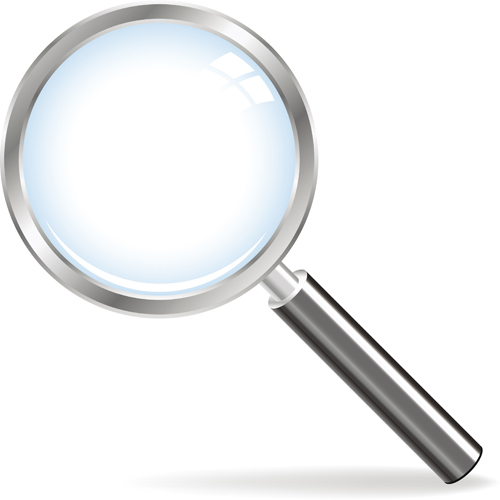 What differentiates Fine Foods™ Colostrum from other Colostrum products in the market? •	Our Colostrum ensures the highest concentration of beneficial nutrients by taking only the first milking from the cow. 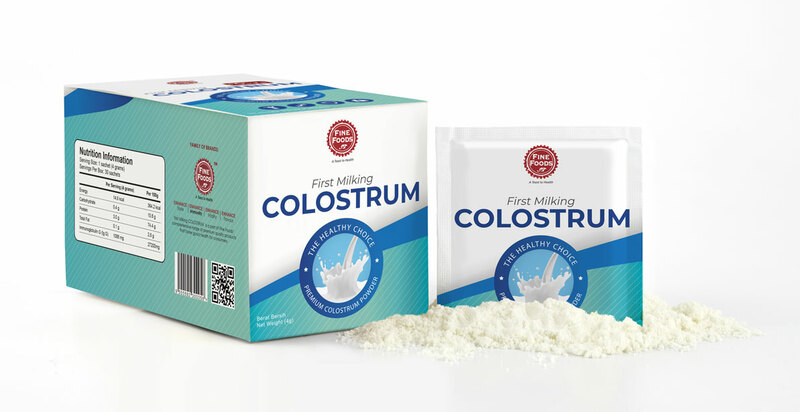 •	Pure Colostrum without any unnecessary ingredients such as skim milk powder to ensure maximum efficacy and enables mixture with your chosen favourite beverage wherever and whenever you are. •	Contains 4% of Proline-rich Polypeptide (PRP) which has the ability to modulate the immune system, turning it up and down when necessary. •	Our Colostrum is taken from USDA Grade A Dairies which are antibiotics and pesticide free. 4. I am perfectly healthy, why do I need to take Fine Foods™ Colostrum? Good health is a gift and will not last unless we take the extra effort to maintain it daily. Fine FoodsTM Colostrum helps you do that by providing your body with all the fundamental components to maintain an optimum immune system, gut health and bodily functions. 5. How often do I need to take Fine Foods™ Colostrum? A sachet (5g) of our Fine Foods™ Colostrum a day is all you need to maintain good health. 6. 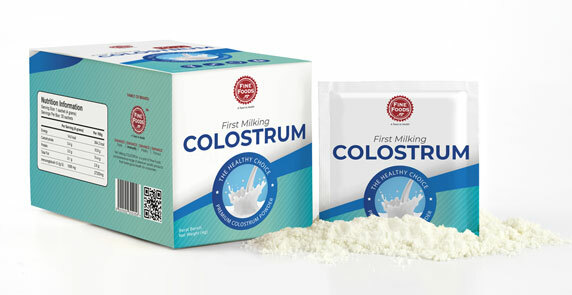 What is the recommended intake/consumption of adults and children for Fine Foods™ Colostrum? For children, half a sachet (2.5g) mixed with your favourite beverage daily is sufficient to maintain good health. 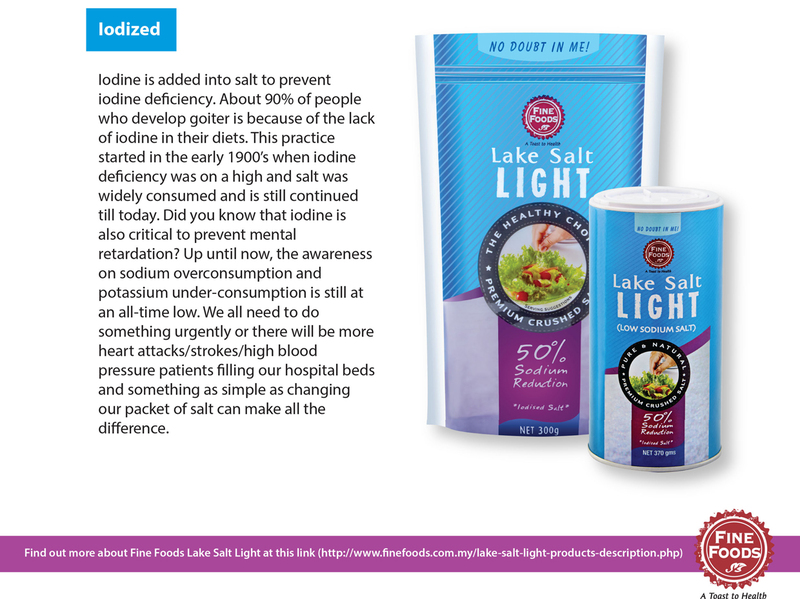 For adults, take a full sachet (5g) to maintain good health. If you are having flu or sore throat, take 2 sachets (10g) a day for up to 1 week. 7. Why do you use bovine colostrum? Strange but true, bovine colostrum contains the greatest benefit for humans. This arises because of the difference in placentas of cows and humans where the human placenta allows the transfer of immunoglobulin G (IgG) to the young but bovine placenta does not. As a result, bovine colostrum comprises mainly of IgG and for human colostrum, IgA. IgG establishes systemic immunity whereas IgA is for local immunity and helps the immune system handle infections locally in the gut. IgG is of much more benefit to humans because it can pass immunity to a specific pathogen from one individual to another. 8. I’m pregnant with my first child, is Fine Foods™ Colostrum safe for my consumption? In pregnancy, the immunology is a complex one as the mother’s body must tolerate the “foreign” fetus which requires a certain degree of immunosuppression while at the same time, maintain immune function to fight off infection. One mechanism which is involved in successful pregnancy maintenance is the proposed switch from the T helper 1 (Th1) cytokine profile to the T helper 2 (Th2) profile. During pregnancy, the mother’s body is Th2 dominant, which is normal since a Th1 dominant state would induce a rejection of the “foreign” fetus and placenta. PRPs in our colostrum tries to re-establish a normal Th2/Th1 balance (which is desirable in a normal human body). For this reason, pregnant women are recommended not to take Fine Foods™ Colostrum until the birth of their child. 9. Is Fine Foods™ Colostrum safe for my newborn child? Babies below 6 months are not recommended to take Fine Foods™ Colostrum. Those above 6 months can take half a sachet of Fine Foods™ Colostrum without any issues. 10. I am lactose intolerant, can I take Fine Foods™ Colostrum? Unlike conventional milk, Fine Foods™ colostrum contains a negligible amount of lactose. Therefore, people who are lactose intolerant can definitely take our colostrum. In fact, there have been cases where some lactose-intolerant people have reported an increase in tolerance for lactose after taking colostrum for 6-8 weeks. 11. Where can I purchase Fine Foods™ Colostrum?